Photo (approx. 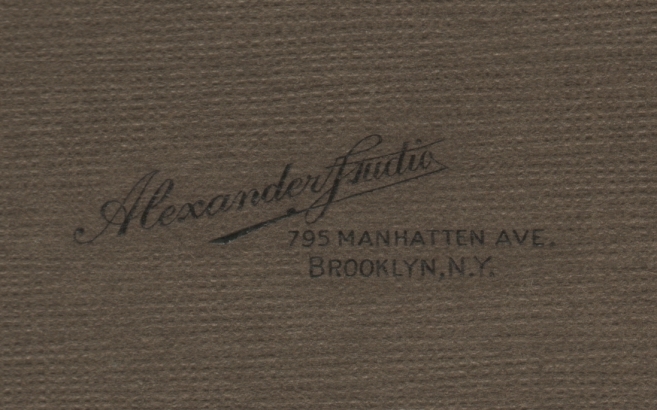 4 x 6 inches) mounted into a cardboard frame/folder (I have cropped most of the folder from this scan). I believe the photographer is Alexander Studio of Brooklyn, New York. Click here to see the photographer’s information. 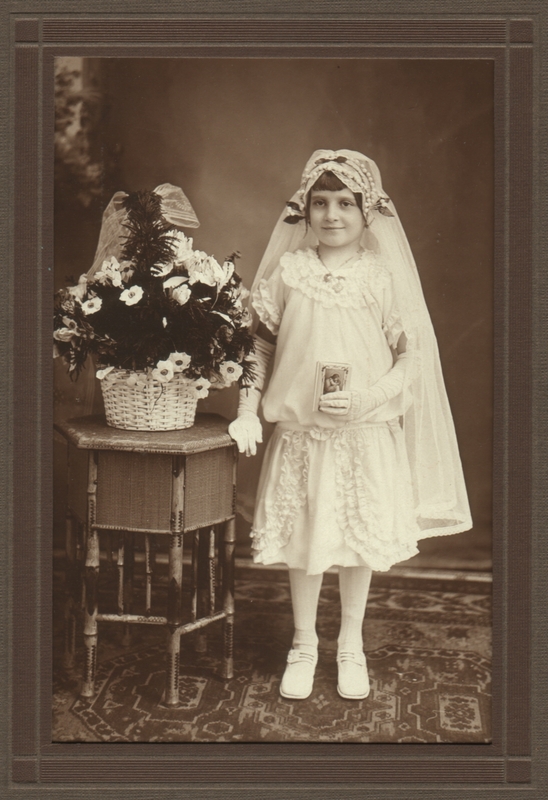 I realized that of the six First Communion photos I’ve posted (which can be seen here), all but one were boys. So here’s another girl. As for the photographer, the font is so odd that I wasn’t even sure I was seeing the word “Studio”. I thought perhaps it was his last name. The fact that the word “Manhattan” is spelled wrong made me question it even more. Keep posting the First Holy Communion pictures. Maybe because I spent so much time helping my father take similar pictures of first communicants, I particularly enjoy them. . . wedding pictures too, for the same reason. Will do. I’m glad you like them. She looks right pleased with her get-up!